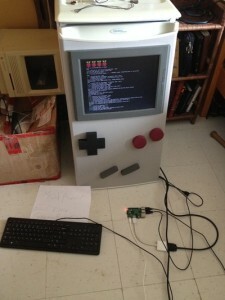 Featuring a Raspberry Pi 2 computer equipped with the Retropie retro-game emulation distro, the Cold Boy is currently uses a 16gb sd cart to store games of your choosing (and not just Gameboy, although it may be considered sacrilegious to play a Gamegear game here). For input, all of the buttons were wired up to selected keys on an old USB keyboard that also allows the use of the Retropie interface. Extra fiberglass insulation was added around the wires and into the modded channels to keep the fridge true to it’s intended use of keeping perishables cold. 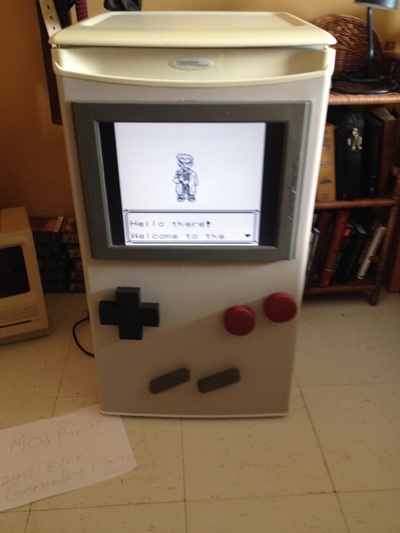 To recreate the Gameboy aesthetic, a hole was cut into the front of the fridge door to house the computer monitor, and the externally placed face buttons were fitted with a backwards tact switch that presses against the base of the fridge to register the button presses, which are wired to an internal keyboard connected to the Raspberry Pi 2, which is mounted on the back panel of the fridge to prevent condensation, and ease of use troubleshooting and/or using the Pi on another display as opposed to mounting it internally. The Cold Boy was created as an entry for 2015 BitFix GameBoy Classic, a Gameboy themed build-off contest requiring entrants to build a project with any sort of Gameboy tie-in. 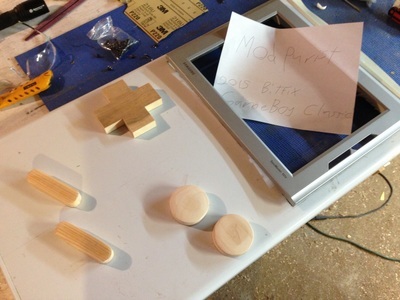 This was Modpurist’s second entry late into the contest, as his original Game Boy Color Advance horizontal GBA style case mod would not be completed in time, and still managed to win first place in the Contest. 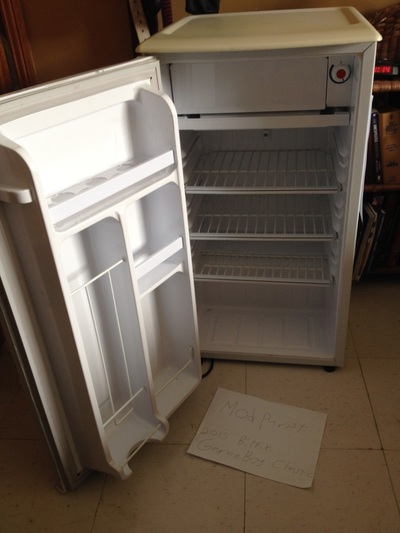 Since completion, the Cold Boy has been picked up by techblogs and food sites alike, and was even had a tv segment a show on Discovery Channel Canada.